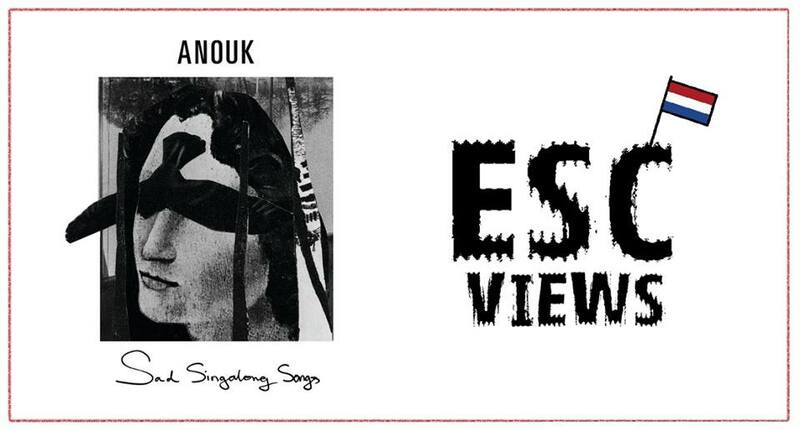 Continuing with the series of reviewing the albums of the 2013 Eurovision participants, today will be the turn of Anouk of the Netherlands and her new album Sad Singalong Songs. What kind of album is it and what are your thoughts on the album? All will be revealed below. Anouk, 38, was one of the favourites to win the Eurovision in Malmö with her song Birds, which is featured in this album. This album’s tracks have the same qualities as Birds, as in they are slow and have a deep meaning embedded into the lyrics. From a personal viewpoint, I wasn’t expecting too much from this album as Anouk is known primarily as a rock chick and this has been reflected in the majority of her albums, but I was pleasantly surprised with this album as it showed Anouk is a versatile singer and not just a one-trick-pony. Sad Singalong Songs contains ten songs which are mostly ballads, but some tracks on the album do carry an up-tempo beat, but the majority of the songs are slow that take you through a journey that Anouk paints, along the lines of what happens with Birds. As I said above, this album is a departure from her previous albums, because her previous efforts have been mostly containing rock/indie songs, but on Sad Singalong Songs, Anouk gently croons in the songs about the loss of her loved one, whoever it may be. The album could be classified as an alternative album, but could easily fit in as a pop album as well. The tracks that would easily catch one’s eye when listening to the album for the first time would be Stardust, Pretending As Always and Kill. The opening track, The Rules, tells the listener the eight rules in which they need to follow in order for them to be together. Another significant track on the album would be Only A Mother, as Anouk is dedicating the song to her children, saying she was “blessed by God” for having her four children and that “only a mother could understand”. On the track Kill, Anouk is unsure whether to leave this man or to stay with him, because possibly she has had bad experience with men and is reluctant to give her love only to get it thrown back in her face. These lyrics could reflect Anouk’s personal life and could be just laying her feelings bare to the listener. Of course, one would recognise her Eurovision song, Birds, in an instant, referring to her lost lover as a bird who has fallen like a raindrop. The closing track, The Black Side of My Mind, has a little bit of Christmas feeling in my opinion, but the track is the perfect choice to end the album on. For me, the tracks I prefer are her Eurovision effort, Birds, the fairytale-like Pretending As Always and The Good Life. Gijsbert Groenveld from the Netherlands: I got it on the day it was released. I think the songs are indeed very SAD but 80 % of them are real gems! I personally love “The Good Life” best. Robbert Landegent from the Netherlands: I love it. My preference : Birds, Pretending as Always (the clip is also great!) and Kill. Chris Cross from Germany: It’s great! So in summary, the album has received positive views from all around. But what do you think about it? Feel free to leave a comment below if you wish!